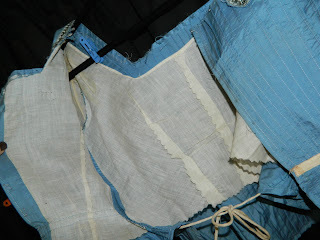 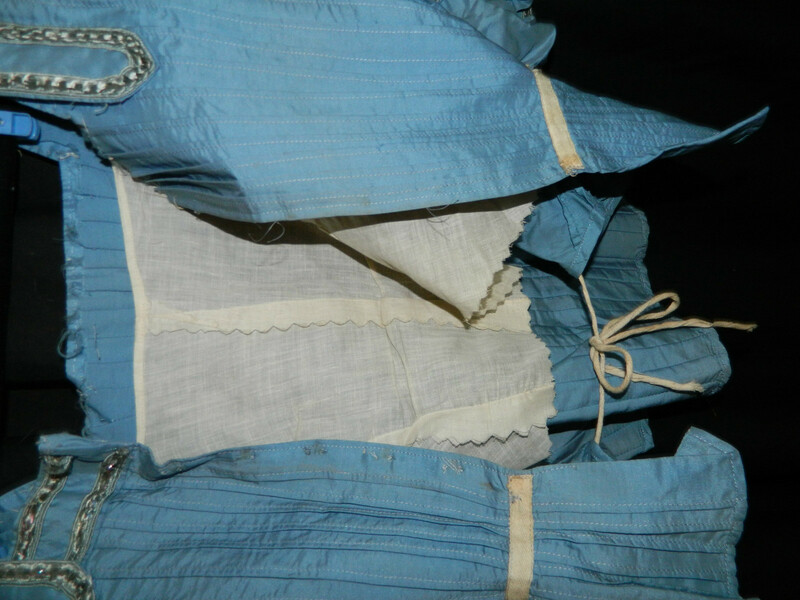 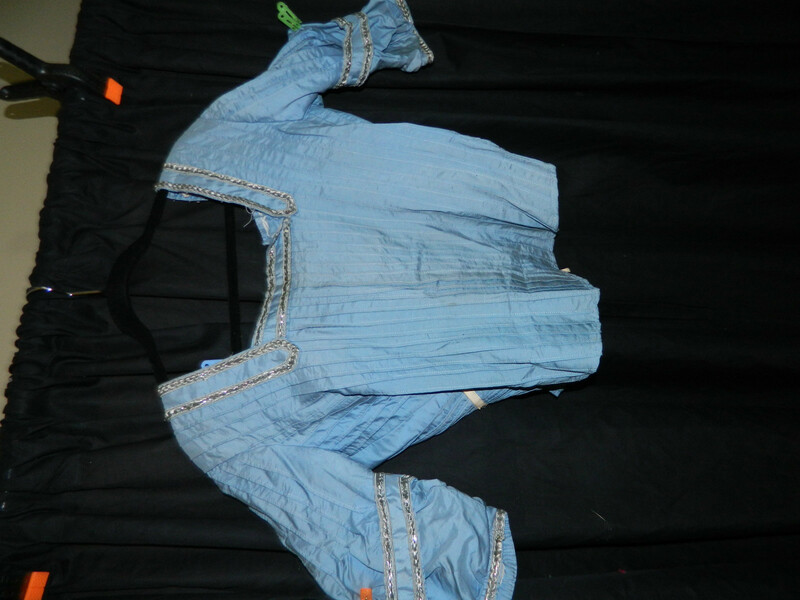 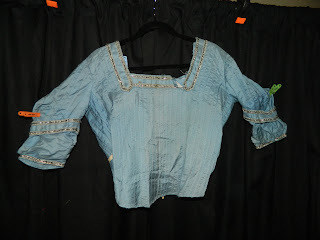 Lovely blue antique victorian dress blouse.. needs some tlc.. needs buttons.. and some trim is absent in the back.. nice pleats. interesting for a fashion student.. or a play.. or a lover of antique clothing.. Measures.. 18" long.. sleeve 14".. armpit to armpit 18"
This looks like it was a 1904 ish piece being remade into a later 1909-1911 piece. 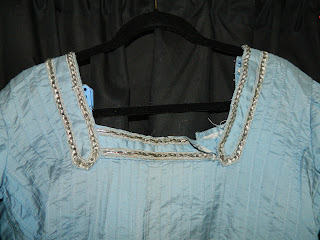 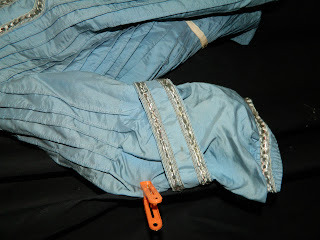 The neckline is unfinished and more inline with the later date.